As if Formula 1 isn’t exciting enough as it is, the Singapore Grand Prix has been billed as a “National Festival” by Mr S Iswaran – Singapore’s Minister of State for Trade and Industry. So we thought that we would take a look at what F1 fans and curious globetrotters can expect of the city during this spectacular event! Singapore is diverse, clean, organised and expensive. 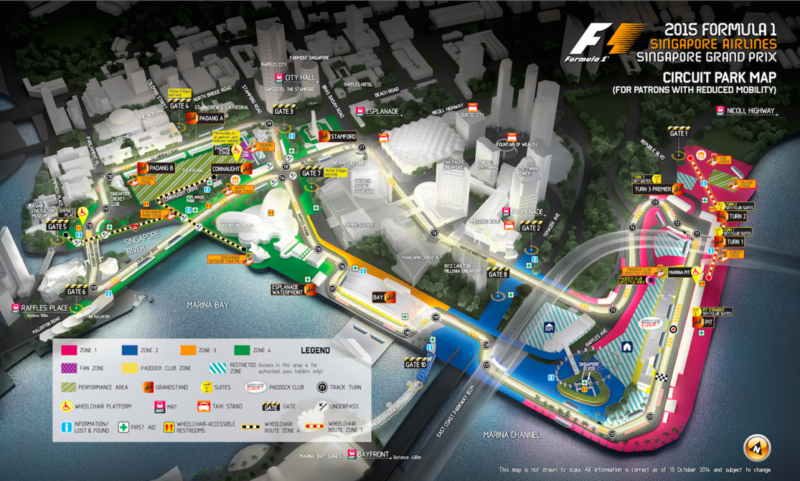 In fact, it is the most expensive city in SE Asia, so perfect for hosting such a prestigious event as Formula 1 racing! There are lots, and we mean LOADS of high-end shopping malls – vast landscapes of consumerism – to explore, and with the price of running a vehicle and the price of alcohol very high here, it is a comparably quiet and safe place as far as major cities go. Weather-wise, in September you can expect temps of around 30 degrees C during the 12 daylight hours, with only a small drop to high 20s in the evenings. Humidity is likely to be high, with plenty of overcast skies, light rain and thunder. Best to pack light layers of your best Prada, Versace and Gucci to ensure you don’t overheat, get too cold, and at the same time maintain the essential high-society style! Oh, and ladies, flat shoes are essential as the circuit entails a fair bit of walking to explore all 799,000 square metres! The Singapore Grand Prix takes place on the 20th Sept, but the weekend will be packed with plenty of F1 action from the 18th! The race takes place on public roads around the Marina Bay area, illuminated by powerful lighting systems to replicate daylight conditions. There will be room for more than 80,000 spectators, but as with any prestigious racing event, you better book a seat in advance to get the best price, and the best views! So, hitting the event are over 300 artistes from around the world including Pharrell Williams, Jon Bon Jovi, and former Cirque du Soleil artists Duo MainTenanT. There will be fireworks, death-defying motorcycle stunt riders, illusionists, street performers, a huge selection of restaurants, exclusive access to circuit-side activities, and plenty of well-branded shopping opportunities. Visit the ultra luxurious restaurant KU DÉ TA. Not only is it the place to be seen, it is the place to see! From here you can view Singapore in full 360° glory! Go to Marina Bay Sands’ Sky Bar at CÉ LA VI – but only if you have a head for heights! The restaurant is on the 57th floor, a staggering 200 meters above the ground. Get some retail therapy in Little India. This place is full of people, very colourful and has a fantastic buzz, a great place to feel full of life. 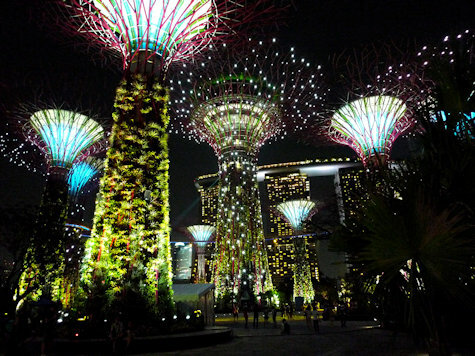 Another activity for those with a head for heights… a visit to the Supertrees Grove, a vertical garden at Gardens by the Bay. Here you can take a wander 22 metres above ground! This entry was posted in Uncategorized on September 11, 2015 by worldwideinsure.